After Mr. Mooney and Mr. Cheever return from a bank convention where their behavior has been less than exemplary, a young woman shows up believing Mr. Mooney has proposed to her. Mooney flirted innocently with the waitress while away and now he has to pay. To save his marriage and scare her off, Lucy pretends to be a much abused Mrs. Mooney and show the would-be homewrecker how horrible it is to be married to a such a monster. 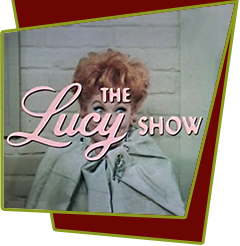 Special Notes: Edie Adams last worked with Lucy during the Lucy-Desi Comedy Hour in the last episode, "Lucy Meets the Moustache".